In Carlisle Barracks, PA, one of our nation’s oldest military installations prepares the next generation of senior leaders for a changing world. It’s called the U.S. Army War College—a place where a community of security and military minds convert issues into strategy. The Strategic Studies Institute (SSI) is the “geostrategic and national security research and analysis” arm of the U.S. Army War College. They’re a little bit like the U.S. Army’s own think tank. SSI is filled with experienced research staff who develop strategic recommendations. Such independent analysis is often published in booklet form. GPO makes available a wide range of SSI publications. Let’s take a quick look at two recent additions to the collection. In 2012, the Obama administration announced a “Pivot to East Asia” strategy designed to prioritize the deepening of bilateral relationships with emerging economies in the region. This SSI work places that policy in historical context and discusses “problems that the Obama team faced in its efforts to solicit the support of regional friends and allies.” It also provides analysis of how U.S. outreach efforts utilized a network of military partners as well as the role U.S.-China relations in the pivot campaign. Morocco lies at a geopolitical and cultural crossroads like no other country in Africa. Sustained economic growth and political stability are reshaping it into a bulwark of peace and counter-extremism in West Africa. This strategic study examines how Morocco is strengthening its position as a regional security provider in the region. It “aspires to…[be] a partner of choice for the United States and other organizations seeking to develop their interests in Sub-Saharan Africa. It’s learning how to savvily leverage “security cooperation, economic development, strengthening cultural ties, and capacity building” with partners inside and outside the region. HOW DO I OBTAIN THESE MILITARY RESOURCES? Click here to purchase The Pivot to Asia: Can It Serve as the Foundation for American Grand Strategy in the 21st Century? This essay collection examines the “economy of force” and “collective security” that key allies bring to the American geopolitical board game. Coalition members provide “hard power” capabilities and share the burden of reduced military spending. A multilateral cooperative of “like-minded liberal governments confers a degree of legitimacy on such operations that unilateral action is short of.” But as the essayists point out, this defense arrangement is enfeebled. Much of the analysis points to shrinking defense forces and budgets in countries like Italy, Australia, Germany, and Great Britain. Country-specific chapters show public support for increased social spending. Maintaining modern military readiness just doesn’t receive the same backing. Much of Europe and elsewhere seems in a state of “strategic ambivalence.” Soft power is the force majeure. Hard power is softening. The book details examples of other allies who are experiencing war power evolution and shifting power balances. Poland is boosting its regional defense capabilities. South Korea faces the advancing North Korean threat at its doorstep. Taiwan postures itself in the direction of China. Japan is undertaking ambitious military reforms for a greater strategic role. All the while, the NATO alliance force-structure is evolving. Editor Gary J. Schmitt frames the challenge as “the absence of military capabilities or the strategy to deploy them effectively [that] can create regional dynamics that invite instability.” For the U.S. to understand allied military capability, there must be a frank discussion about what must be done to get the right resources on the table and the right forces at the table. Hard power shortcomings are everywhere. 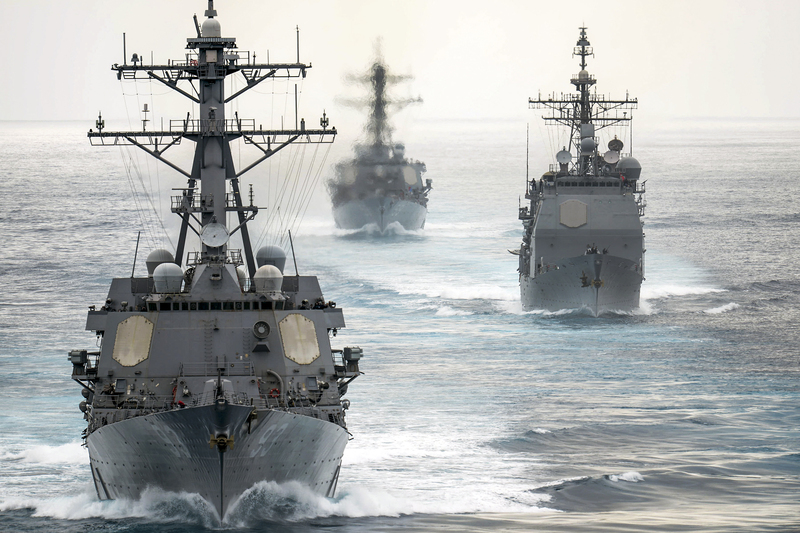 The U.S. multilateral defense network needs its friends now more than ever.